Predestination (2014) was directed by The Spierig Brothers (Michael Spierig and Peter Spierig) and has gotten some pretty good reviews. Predestination releases on Blu-ray / DVD this upcoming February 10, 2015. So far I am a little impressed by the bonus features included; full details below. 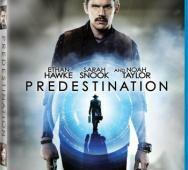 Cast in Predestination are Ethan Hawke, Sarah Snook and Noah Taylor. Nick Willing‘s new movie Altar (2014) is set to release on DVD and Digital HD this upcoming February 17, 2015. Altar is a supernatural horror mystery that was actually shot in Yorkshire, England in the early part of 2014. Starring in Altar are Olivia Williams, Matthew Modine and Antonia Clarke. Harrison Smith‘s new zombie movie Zombie Killers: Elephant’s Graveyard (2015) now has a movie poster and movie trailer attached to the film. 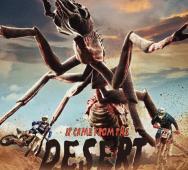 The new film releases on Blu-ray and DVD this upcoming February 3, 2015 thanks to Anchor Bay Entertainment. The bonus features will include multiple bonus features detailed below. 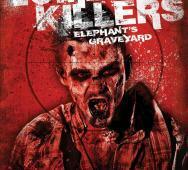 Zombie Killers: Elephant’s Graveyard stars Billy Zane, Mischa Barton, Felissa Rose and Dee Wallace. 'The Blair Witch Project' Sequel Confirmed?! Eduardo Sanchez is one of the filmmaking duo team that brought us The Blair Witch Project that made waves for its found video footage style when it was released in 1999. The sequel was rushed and was terrible resulting in the whole franchise scrapped after that. Flash forward to present day and Sanchez revealed that he has been in talks with Lionsgate on creating the next Blair Project movie. Sanchez reveals that he would not be surprised if something happened within the next year or two. Are you guys psyched to see the new Blair Project movie? Steve Wolsh‘s Muck (2015) is releasing this upcoming March 17, 2015 in 4K Ultra HD. Muck will be available on Blu-ray in Uncut, Uncensored and Unrated version. 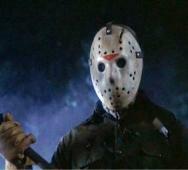 The trailer looks great and I cannot help watching Kane Hodder movies. 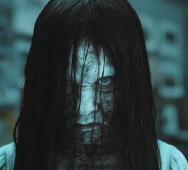 Count me on board to watch this new horror movie the first day it is released. Starring in Muck are Lachlan Buchanan, Kane Hodder and Jaclyn Swedberg. Darin Scott‘s Something Wicked (2014) will be releasing on DVD, VOD and digital platforms this upcoming March 17, 2015 thanks to ARC Entertainment. This is Brittany Murphy‘s final role in a movie. 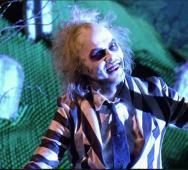 I will be watching this movie for that fact alone because I like Murphy as an actor. 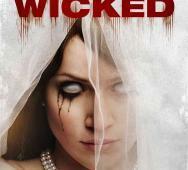 Also starring in Something Wicked are Julian Morris, Shantel VanSanten and John Robinson. A&E’s The Returned TV series is based on the popular French TV series by the same name. 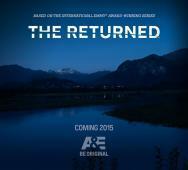 The Returned is going to be a horror drama starring India Ennenga, Mark Pellegrino and Tandi Wright. Previously confirmed dead local townsfolk start returning from the dead with no logical explanation. Am I a fan of this new TV show now, no. Will I watch the show, maybe not, I’ll see what initial reactions to the show say. Are you going to see The Returned and are you excited to see it? Producer Andrew Form released some alarming news when he stated that they are ‘working on the script still.” David Bruckner (The Signal, V/H/S) will be directing the film but needs a script. Being real here, there is no way they may even release the film this year so that erases the idea of a November 13, 2015 release date. If they do manage to release it one the previous date, it may be rushed and rough around the edges. WGN America’s Salem TV Series came as a well welcomed treat to many horror fans of witches and even demons. The latest update for WGN America’s Salen Season 2 adds Lucy Lawless as Countess Marburg and Stuart Townsend as aristocrat Samuel Wainwright. 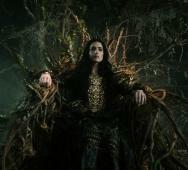 Lawless’ character is important because she is one of the last remaining ancient German witches. Townsend’s character is a doctor looking to unravel the mysteries of Salem while keeping his own a mystery. Joe Doyle will play Baron Sebastian Marburg who is the son of Countess Marburg (Lawless). Oliver Bell is now a season regular as Mary Sibley’s (Janet Montgomery) long lost son, once thought to be dead but was raised in secret by Mary’s very own witches. Looking for some great realistic looking animation then this horror short Isolation is just for you. 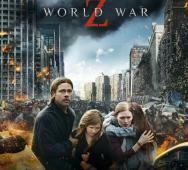 Isolation comes from Peak Pictures and features lots of zombies. The zombie short was penned by Manuel Vergara and Tomas Vergara. The sound score compliments what is on screen tremendously well. 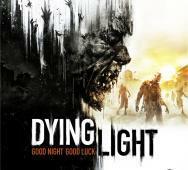 These zombies are fast moving zombies and that just ups the action/terror to an amazing scale. I like how they reenact the great scene from World War Z (2014). You MUST see this horror short, NOW! Gil Kenan‘s Poltergeist (2015) remake of the classic horror movie from Steven Spielberg/Tobe Hooper Poltergeist (1982) has very little (none) promo material making it way out. 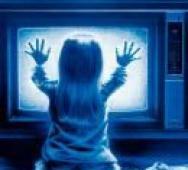 However, Sam Rockwell has shared some news that this Poltergeist remake will be a kids movie. So to clarify that statement the new horror film will be told through the eyes of a little boy instead of from the perspective of JoBeth Williams. For this reason, Poltergeist will not be rated R but that should not change anything much. Sam Raimi is the producer and Poltergeist will be released this upcoming July 24, 2015. 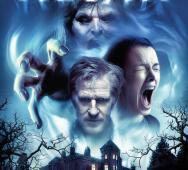 Starring in Poltergeist are Jared Harris, Rosemarie DeWitt, Saxon Sharbino and Jane Adams. Writer/Producer Alex Garland talks about the current status of 28 Months Later. 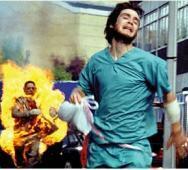 The first in the franchise, 28 Days Later was released in 2002 and Garland wrote the screenplay. The second, 28 Weeks Later (2007), Garland was the executive producer of the film. 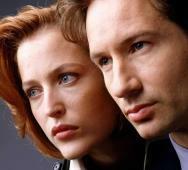 Now with closing up the franchise with 28 Months Later, Garland says there have been some serious discussions on the film but there are too many reasons delaying the movie that it is complicated. Garland said that he may not go with 28 Months Later as the movie title. How long do we have to wait to see the continuation of the story and the Rage Virus, Alex Garland does not know yet.